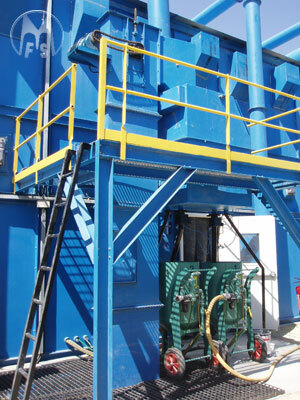 Pneumatic Blasting is a process where blast cleaning is carried out with the use of compressed air. The siphon system is based on the principle of vacuum. In this system, vacuum is created byincoming jet of air within the blast gun. The abrasive is thus picked up and projected on to the work piece through the blast nozzle. 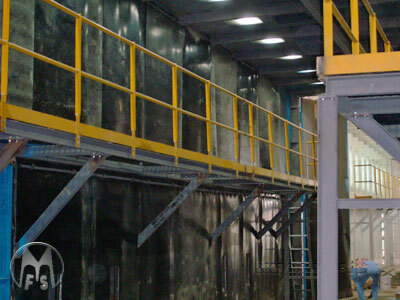 This process is commonly used for tyre and mould cleaning and cleaning of delicate components. Pressure blast system is more frequently used. The abrasive is fed from a pressurised vessel to the blast hose through an abrasive control valve. 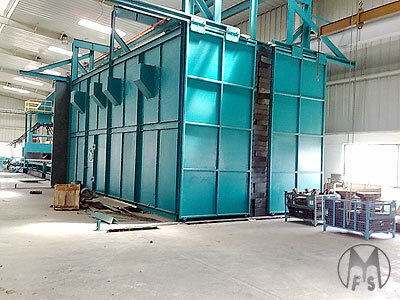 The controlled abrasive along with pressurised air is projected at high velocities through a nozzle to clean the surface to the desired finish. Blasting operation is carried out with high pressures ranging from 5 Kg - 7 Kg psi. Volume of air required for undertaking blasting depends on the diameter of the nozzle used and the air requirement varies from 250cfm - 500cfm depending on the diameter of the nozzle. For optimum results, a 3/8' dia nozzle is best used. The pressure system could be incorporated in hand cabinets specially designed for particular applications and room plants. 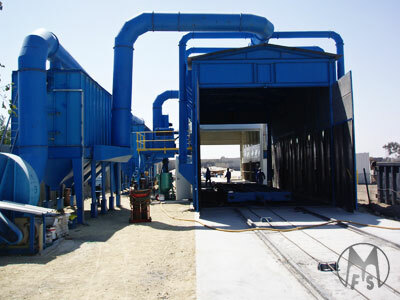 Pneumatic blast cleaning is used for site operations and for jobs that are very large and not in regular quantities.